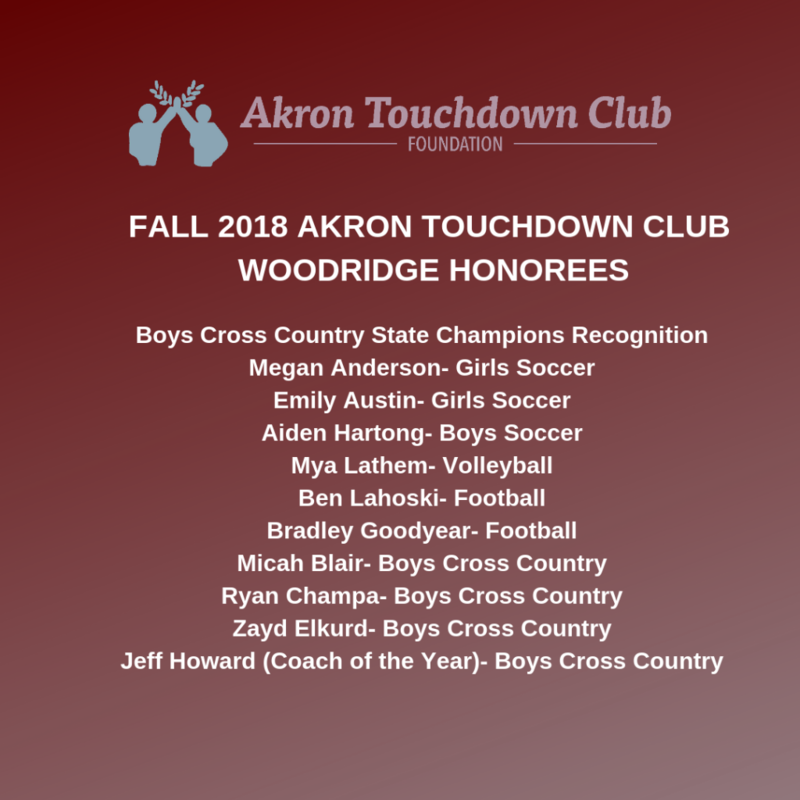 Congratulations to the Woodridge High School Student Athletes and Coaches who will be recognized by the Akron Touchdown Club at their annual Fall Sports Banquet! Additionally, Woodridge High School has been selected as the recipient for the Akron Touchdown Club’s Peter Burg Sportsmanship award for the 2018 Fall Sports Season. The Touchdown Club has a long and tradition-filled history. They are the oldest sports organization in Summit County, beginning operations in 1941. The Akron TD Club’s major focus has always been on the youth of the community. At its two annual banquets, student athletes from 44 high schools in Summit and Portage Counties are recognized by the organization. The Akron Touchdown Club’s Annual Fall Sports Banquet will be held at Guy’s Party Center on Waterloo Road in Akron on Monday, January 14, 2019. Individuals from Woodridge who will be recognized that evening are listed below, Congratulations!